Menial servants. The Gibeonites who attempted to deceive Joshua were condemned by the princes of Israel to be hewers of wood and drawers of water to the congregation (Josh. ix. 21, 23). In Deut. xxix. 11 the hewers of wood are mentioned among the strangers as servants. The same expression is also found in Jer. xlvi. 22, where it is said that the Babylonians will come against Egypt with axes, as hewers of wood, and in II Chron. ii. 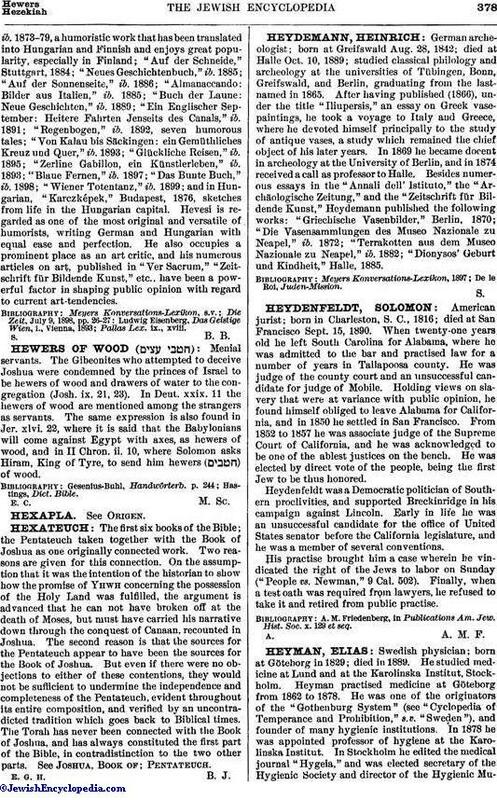 10, where Solomon asks Hiram, King of Tyre, to send him hewers ( ) of wood.